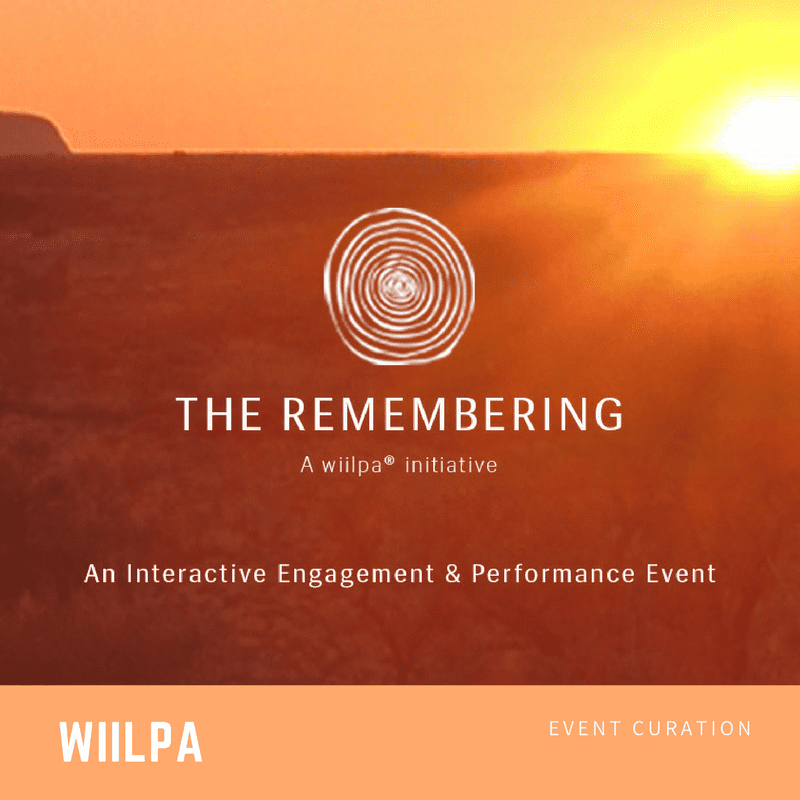 Open to the senses at this Remembering – immerse workshop presented by Wiilpa in association with Edible Eden Design featuring Karen Knowles (singer), Adam Rankin (sound healer/musician), Ian Hunter (Wurundjeri elder) and Karen Sutherland (horticulturist). 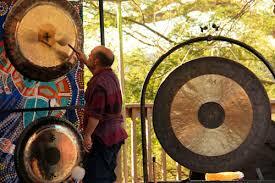 This 2 hour workshop incorporates sound and resonance (sound healing and song), ceremony, taste and smell (sampling of bush plants and teas) to create a means for participants to experience a personal and fully sensory immersive connection to earth and the elements. 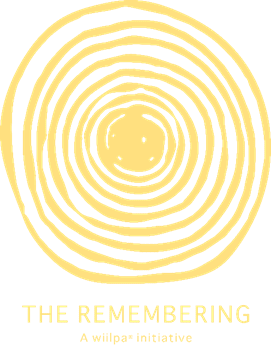 Bookings are now closed for the event on 11th February but if you are interested in attending future Remembering-Immerse events please contact us at info@wiilpa.org. 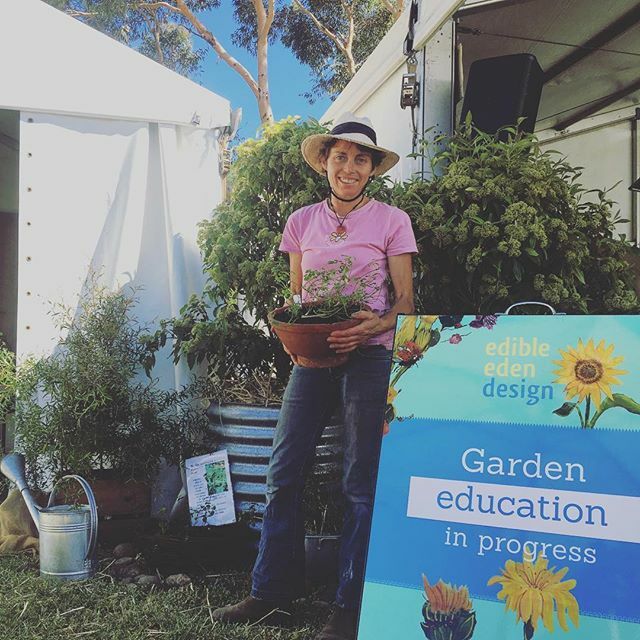 Presented by Wiilpa in association with Edible Eden Design and the National Sustainable Living Festival 2017 this workshop will allow participants to re-align to the earth and connect with the elements of fire, water, earth and air through the use of sound, taste, song and ceremony. 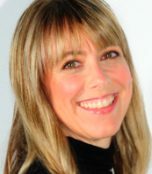 Singer / innovator Karen Knowles and sound healer / musician Adam Rankin will collaborate on the sounds and song that will hold participants in a gentle space of healing and re-alignment. 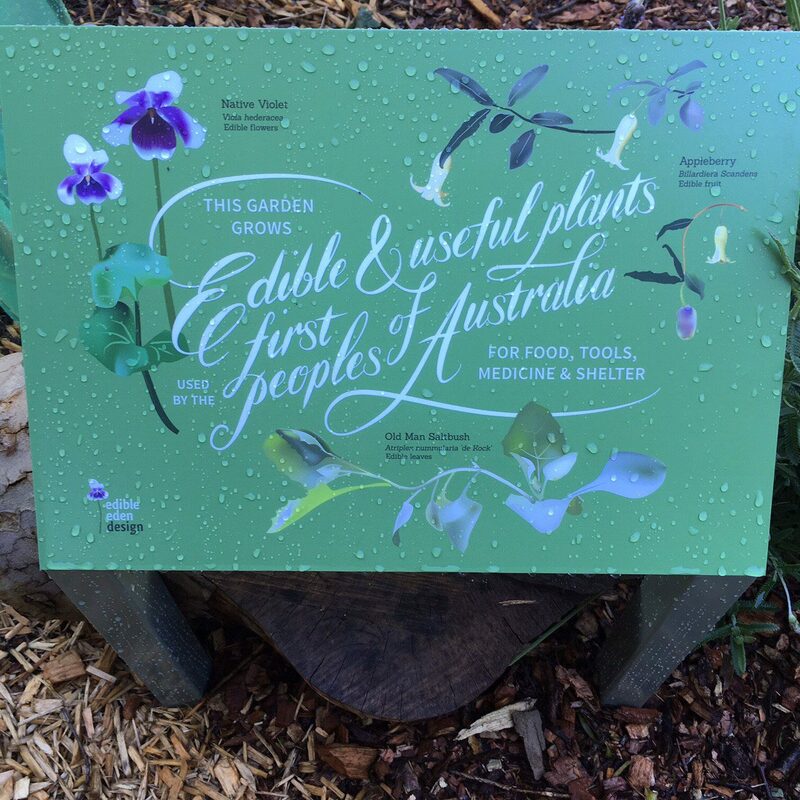 Ian Hunter, Wurundjeri elder will commence the event with a welcome to country and Karen Sutherland, horticulturist and founder of edible eden design will conduct a tour of the edible eden garden so participants can smell and taste our distinctive native bush plants. Some native bush teas will be served during the workshop to clear and align the body for healing through the process. 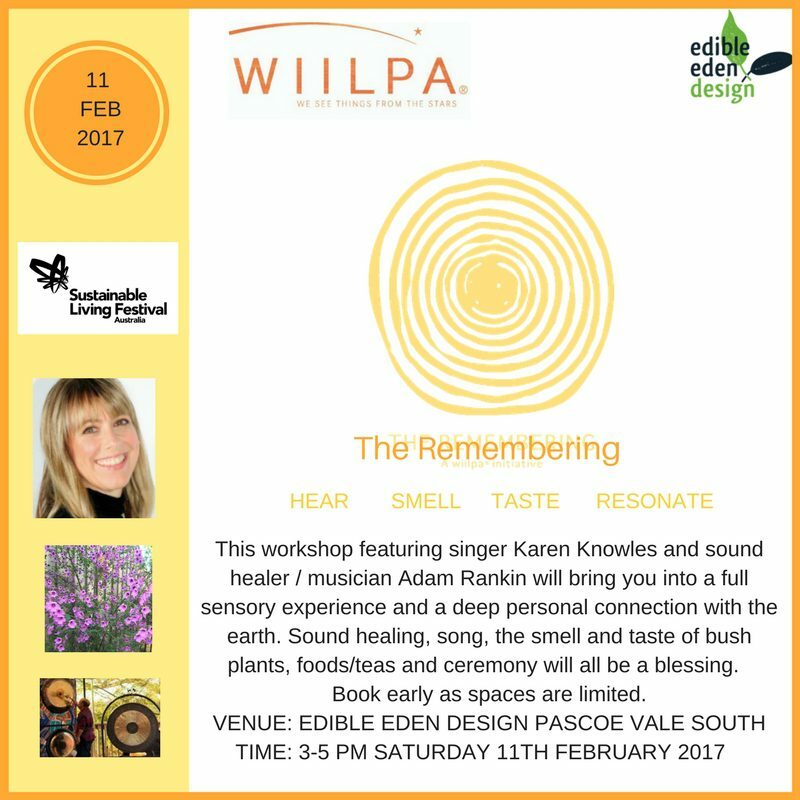 Held at 3-5 pm on Saturday 11th February 2017 at Edible Eden’s site in Pascoe Vale South, Melbourne as part of the Sustainable Living Festival 2017.